First of all, my bad.🤦🏾‍♀️ I know I told y'all I would be back quicker than I was and I'm so sorry for keeping you waiting, but life be happening to ya girl! I fully blame retrograde. 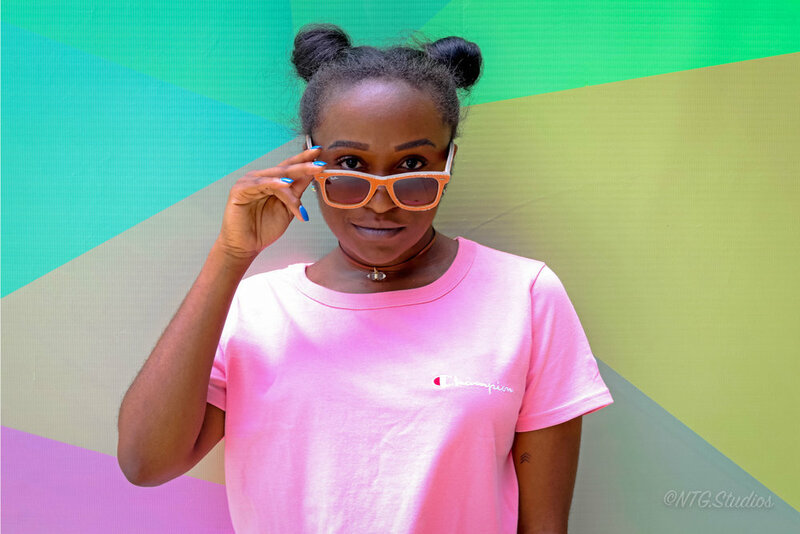 But enough of alladat, I'm dropping the details on where to get one of my favorite and most cozy tees in a classic color: millennial pink. Millennial pink has been on the scene for a few years now, but the trending color has long been a favorite for the fashionable. 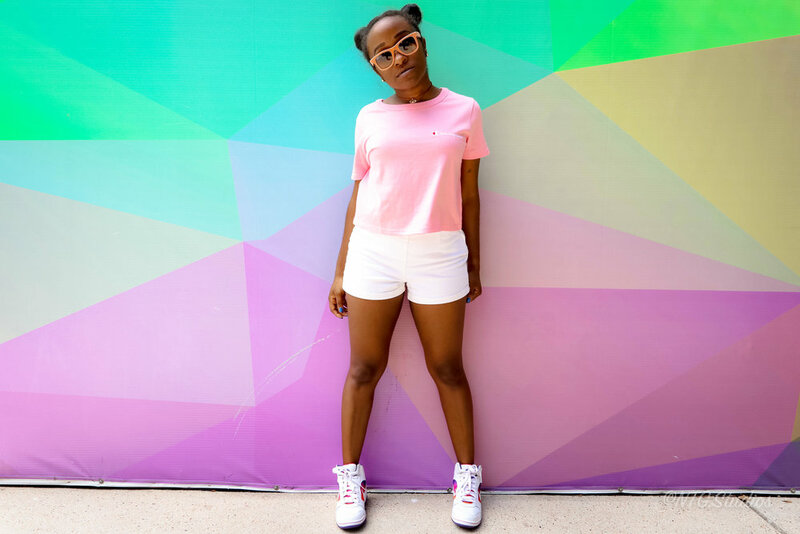 Now that major streetwear brands have caught on, pink is more popular than ever before. I picked up this lil bb from my favorite go-to destination for all the cozy cute things, AKIRA. The top has since sold out on their site, but it's still available in my details below! Y'all already know how I feel about Champion, so scooping this shirt was a no-brainer. In addition to throwing it back with another iconic logo accent, this tee is the perfect thing to slip on when I want to be chill but still super fresh. When it comes to rocking street style, going for a pop of color is always a good idea and Champion never disappoints. 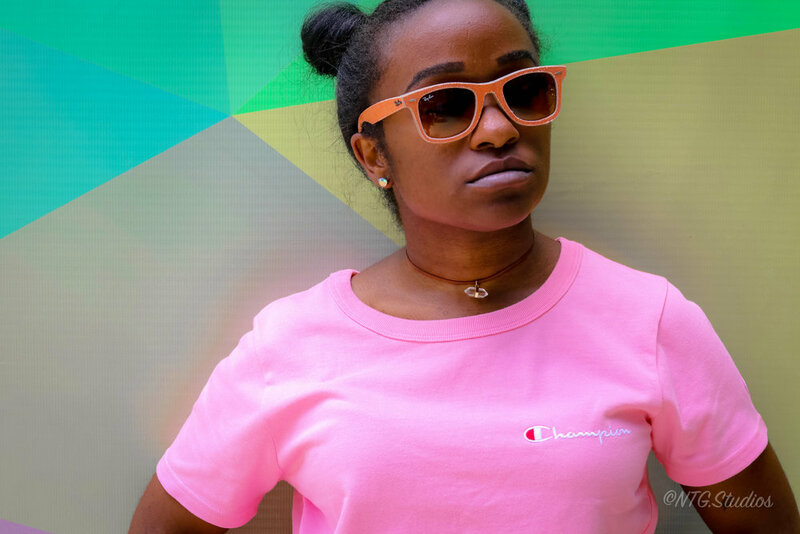 Catch the millennial pink wave with these fresh pickups from Champion by way of AKIRA. Currently obsessed with my Sydney Quartz Drop Choker from Austin-based brand, ROX Jewelry. Use my code 'PAIGE15' when you shop and save some cash! OK I know I said this times before, but I really will be back with a quickness for my next Summer Color T-Shirt Series drop. In the meantime, what kind of end-of-summer content would you like to see on le blog? I'm taking your suggestions in the comments below!